DC Input : AC-L100 AC adaptor is supplied. Audio input : Stereo mini jack (3.5 mm diameter), ECM-PS1 external shot-gun stereo microphone is supplied. The next generation of Sony imaging sensor, the ClearVid CMOS Sensor is quite unique and different from current CMOS technology. The ClearVid CMOS Sensor uses a unique pixel layout rotated 45 degrees to provide high resolution and high sensitivity. This pixel layout technology is also used in higher end professional camcorders. The ClearVid CMOS Sensor, coupled with an Enhanced Imaging ProcessorTM (EIP), generates stunning images. Moreover, thanks to the CMOS technology, bright objects do not cause vertical smear. 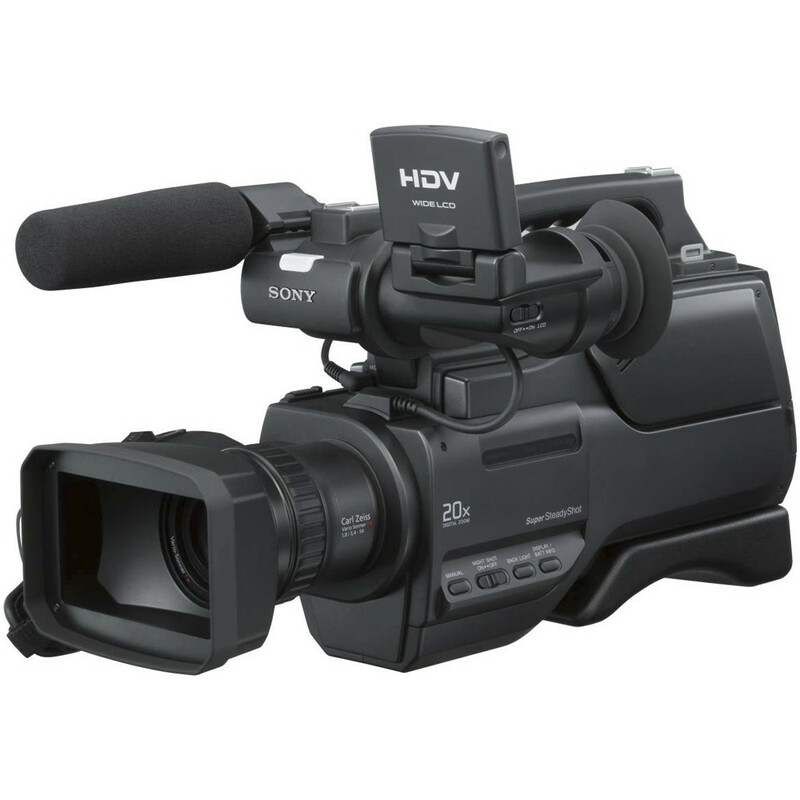 The HVR-HD1000E camcorder can adapt to a wide range of shooting situations thanks to a Carl Zeiss Vario-Sonner T* lens with 10x optical zoom, as featured on higher end professional HDV camcorders. The T* lens coating suppresses unwanted reflections and faithfully reproduces colours for professional-looking results. An active optical lens system avoids any deterioration in image quality. The lens itself shifts vertically and horizontally to compensate for the polarized light axis in real time. A large, freely rotating 2.7-inch type LCD screen is located on the top of the viewfinder unit to provide easy viewing when the HVR-HD1000E camcorder is in a low-level position or on a tripod. This also makes it easy for a director or client to see what the camera operator is shooting. The 211,200 dot widescreen Clear Photo LCD plus device provides proper brightness and a high level of colour reproduction.